As Chesterfield's premier entertainment business PD Entertainment can help make your night so much more special by providing fun, energetic, friendly and professional Dj's/Entertainers. Ensuring your crowd are fully engaged in the entertainment, you'll be forever asked where you found us. We will work with you to check every last detail to make sure you get everything you want and more. We don't put our prices up based on what the occasion is, why should you pay extra for your wedding when it's the same Dj and same equipment we provide for birthdays, engagements etc. The price we quote is the price you pay! PD Entertainment live up to their claim of a truly professional service. Booked them for a karaoke and Paul was amazing. Nothing is too much trouble for him as he goes out of his way to make the event work. Would definitely book him again! We booked PD Entertainment for a surprise party and the help and advice they gave was fantastic! Without their help we wouldn't have got everything sorted in time. Thank you PD Entertainment! 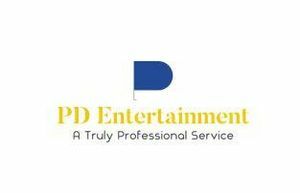 PD Entertainment are fully covered with Public Liability insurance (you may hear this referred to as PLI) and all of our equipment is either brand new or PAT tested every year. PD Entertainment would be more than happy to discuss any outdoor events with you to see if we can help. We never turn an enquiry away! Because we use the latest technology, we can mostly get any track requested in real time whilst you and your guests continue to dance and enjoy your party.